I told you I was obsessed with this chambray shirt. Here is, yet again, more proof I can't stop wearing it. 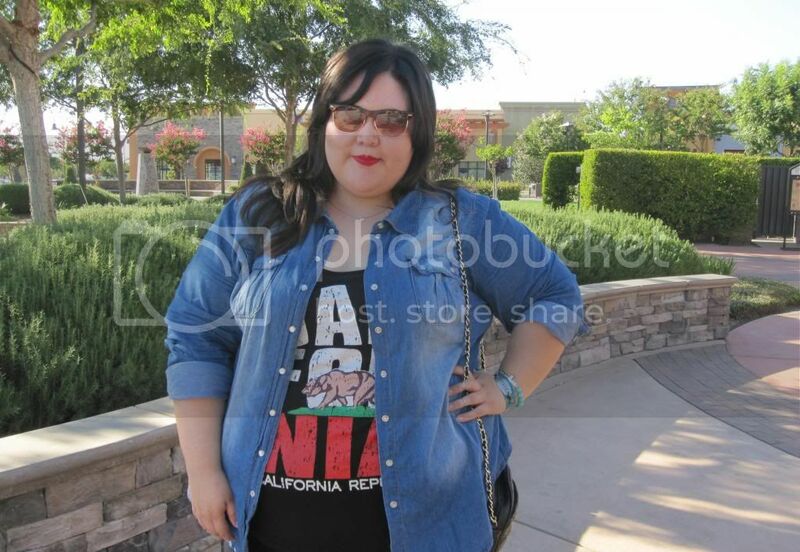 This time I paired it with my California tank from Wet Seal’s newly revamped jr. plus sizes. I’ve seen this graphic tee on so many people (and body shapes) this year, that I was stoked when it came in my size. Worn with leggings, flats, and red lipstick, this outfit takes me anywhere from afternoon errands to a casual happy hour. Unfortunately the California tank is no longer available, but there's still a large selection of graphic tees to shop. Right now all of them are buy one, get one 50% off! 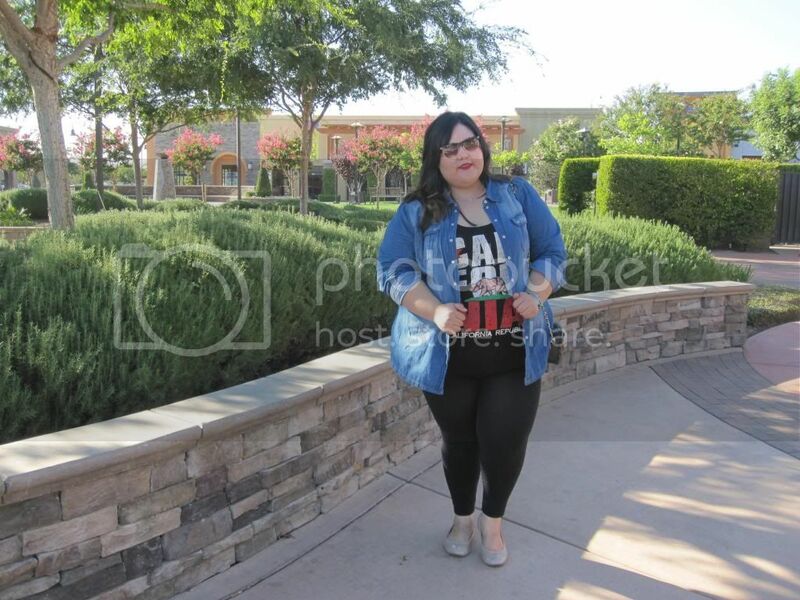 Even more exciting news: Wet Seal is transitioning the jr. plus size line into select brick and mortars. Finally!! 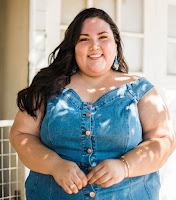 Click here to view a list of Wet Seal stores that carry or will carry plus sizes in the near future.